We have worked with Hoodyworld on numerous websites over the years. 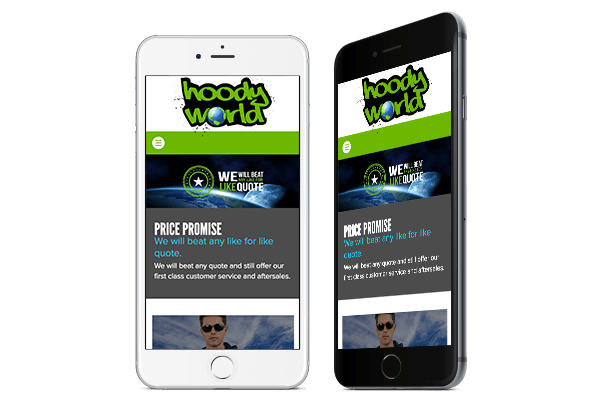 We created the original Hoodyworld website about four years ago and it was time for a re-design and upgrade. 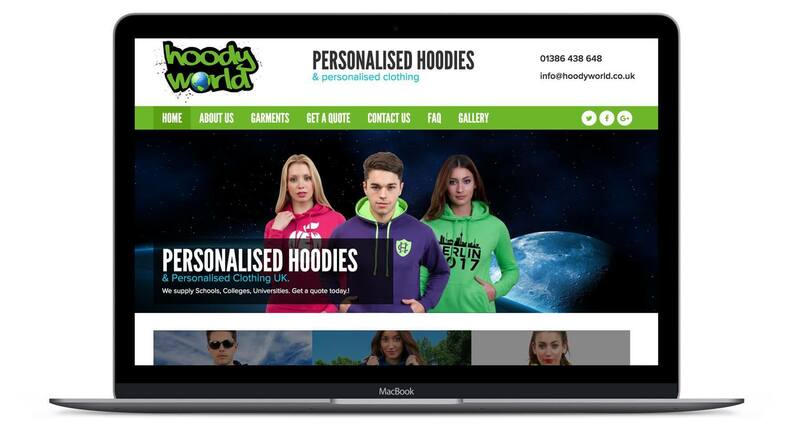 We worked closely with the Hoodyworld team to design and develop an innovative website to help increase their market-share. One important issue was to ensure the site was mobile responsive. The previous site was not mobile responsive and with an impending Google Algorithm change, this is going to become more and more important for search rankings. The challenge with Hoodyworld was to create an easy-to-use interface which translates to the smaller mobile screens. 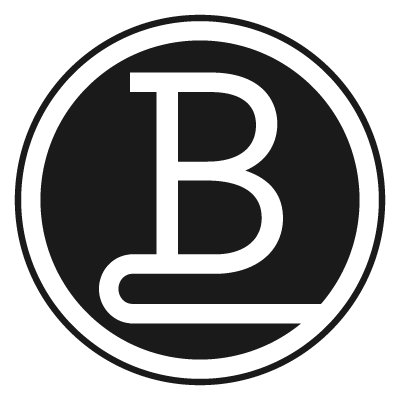 Due to the complex nature of the Hoodyworld website, we opted to use our own bespoke Content Management System, BrightEdit, as it is easy to customise and tailor. The management system allows dynamic creation of the ‘Get a Quote’ screens, with flexible options for including and excluding quote criteria.